It is nearly impossible to be here, among these people on this holy day and not connect to something greater than just… ourselves. If you think that I am wrong, then, I say that your eyes are not open, your heart is not viable, your soul is trapped in a dark cave and you, my sister, my brother, you need to try harder. Our job on this day is to let go of even more of ourselves. Because, if we cannot connect to our peoples’ pain, then we are only half alive – and that is not good enough. The radio dial is set to help. You will be hard pressed to find a channel that is not preaching a Jewish peace anthem, or inviting you to climb into a brother’s loss, or painting a picture about the stain that blood leaves on even the hardest of hearts. Israel shares her pain in a way that doesn’t make immigrants like me feel like foreigners. Whether family by blood, inheritance or family by choice, Israel’s heart has always had enough room to welcome more. If your lot in life is outside of this soil, you are not too far. You can read. You can google translate. You can look into the eyes of the fallen, look into their parents’ eyes and let them share their story. Grab it and hold it tight. Because today Israel’s emotional walls are cracked wide open; an all- access-pass to feel Israel’s narrative. Today we give pain its time and loss its reign. Holding that space wherever we are is an honor and a gift. Israel is not at ease. Still, I pray, that when Israel sees me and sees you, head bowed at half-mast she’ll know that we haven’t forgotten. We will never forget. And from that place which is both empty and full, as this day closes, we will raise our flag to its full height and glory. The pains of yesterday like contractions before the birth of our nation. 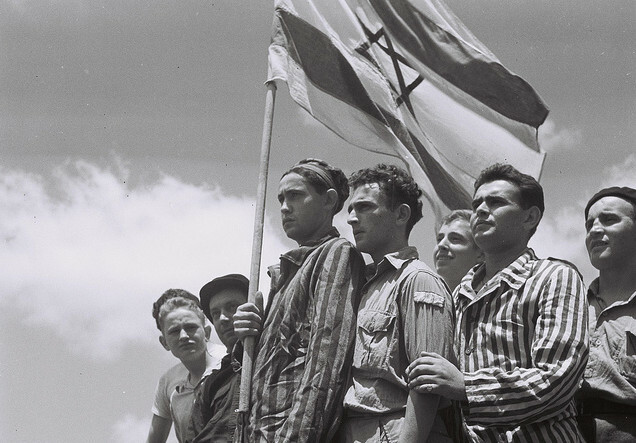 Tonight we will stand together again, on the eve of our Independence, Yom Ha’atzmaut – with our toddlers in arm, sticky fingers, sweaty heads – blue pants white shirts, plastic flags in hand, so acutely aware of our fortune. Thank you Israel for letting us in and letting us love you.